Applying Llumar window film to your vehicle is a small investment that pays dividends for as long as you own it! Llumar brand Automotive window films are state-of-the-art in solar protection, durability and appearance. They are backed by the manufacturer Eastman Chemical Company USA. An invisible barrier protects against smash and grab raids. Vandalism and break-ins are still at record levels, mostly through glass. Applying optically clear security film to your glass creates an invisible barrier against bricks, stones and other missiles, protecting people and property, night and day. 1.Security film is only recommended for moving glass, i.e. door glass. 2. Security film is sometimes available in a dual solar/security film. 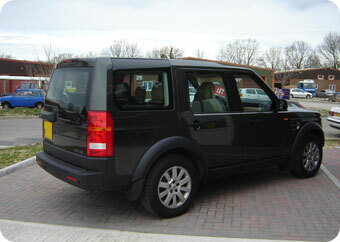 A vehicle tinted with Llumar Automotive film simply looks better. You've invested a lot in your vehicle, now give it the finishing touch – A professional window film applied to your vehicle will increase its re-sale, a poor installation will actual decrease the value! This is a speciality of Solar Screen, an optically clear window film that stops 99.5% of UV, we can even fit this to the front window screen (only recommended for people with extreme sensitivity to UV exposure). If your vehicle's window glass is ever broken in an accident, Llumar film helps to hold the potentially dangerous pieces together and safely away from the occupants. Llumar films reflect up to 67% of the sun's heat and reduce annoying glare by as much as 96%, enhancing driving safety. Llumar films also screen out up to 99% of the sun's invisible ultraviolet radiation, which is the principal cause of skin cancer and premature skin ageing. Having Llumar window film professional installed by Solar Screen can protect your passengers from prying eyes, reducing the opportunist ‘smash-and-grab crime significantly. Click here to view a Testimonial from a recent customer.